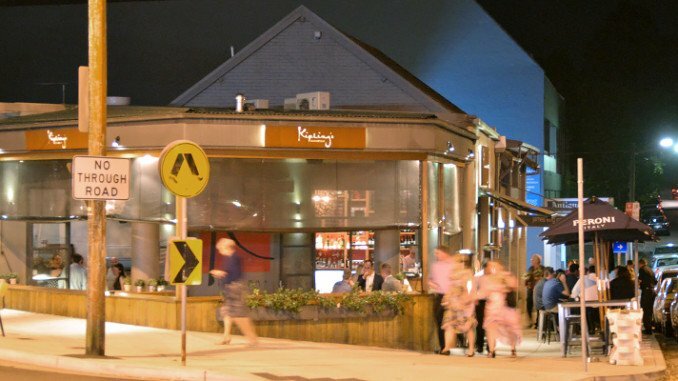 Kipling’s Garage Bar is on the corner of Eastern Road in Turramurra on the North Shore. Housed in a former 1920’s car garage, Kipling’s has a shabby-chic style which its clientele love. Although this is a bar, the focus is on food with an extensive and interesting menu. Most people that hit Kipling’s late in the week are there for the tapas-style bar snacks such as salt and pepper calamari with rocket and aioli or Peking duck pancake with cucumber and hoi-sin sauce. A personal favourite of mine is the grilled chorizo with haloumi skewers which are very good ($12). Kipling’s call their food honest ‘street food’ tapas with most of these dishes around $12-15. Be aware, these are tapas, or bar snacks. If you want something more substantial, Kipling’s have dishes like grilled king salmon with miso mash potato, seaweed salad, pickled vegetables and ponzu dressing ($25). Like any bar, Kipling’s has its busy times such as Friday evening, when it can be hard to get a table, but most of the time the place is relaxed and there are seats a-plenty. If you want a full sit-down meal, you can reserve a table (12-2pm lunch and from 6pm Sunday to Thursday only) the rest of the time it’s walk-ins only. Just outside Turramurra Station, this bar is an uber-convenient spot to meet people as they wind their way home after a busy day or for early drinks before they head out to town. I have visited several times and each time the service gets better, the atmosphere is good and the food is excellent. 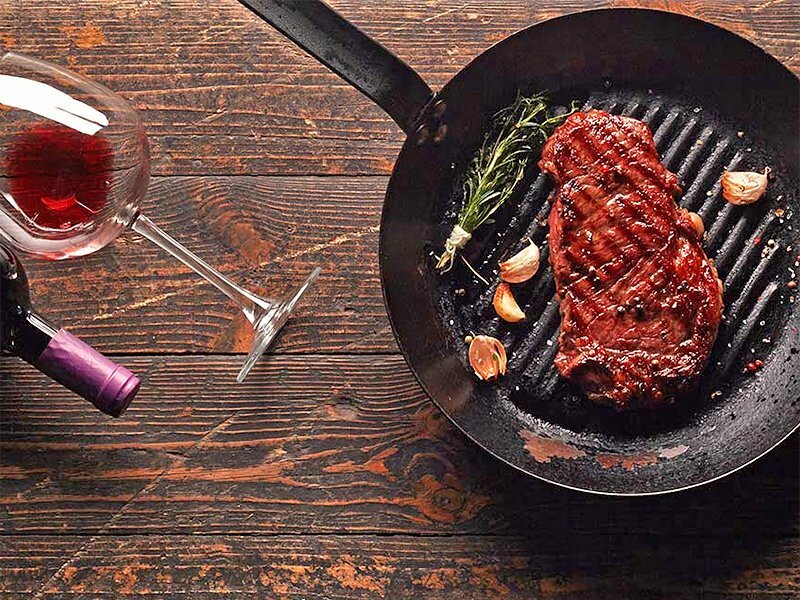 It would be too hard to do their wine list justice as it is extensive, sampling wines from Australia, Italy, France and South America with Champagnes, Riesling, Pinot Grigio, Gris and Noir, Rose, Merlot and some good varietals and blends. If wine is not your thing (in a wine bar!) they have some decent kraft beers and ciders. This is a sophisticated and interesting place which is a welcome alternative to the large 1950’s pubs that are the feature along the North Shore line.